This Appnote explains how Bode 100 can be used to measure important transformer parameters like the coupling factor, resonance frequency and transfer function. 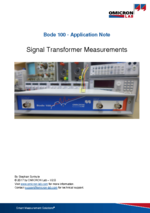 This application note shows how simple it can be to analyse small signal transformers. 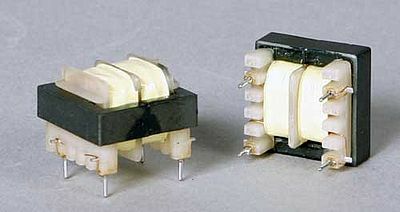 Even in the "digital" times of today, signal transformers are widely used for a high variety of applications in the telecommunication and broadcast industry. Besides the standard parameters like number of windings and nominal frequency, many other parameters that are sometimes not even mentioned in the datasheet of the transformer, become important for a specific intended application. Reason enough for us to publish an application note which explains how Bode 100 can be used to analyse a signal transformer. Either to verify the data sheet parameters or to measure parameters not stated in the signal transformer's datasheet.